Clark management had envisioned a variety of uses for the Cortez - they were made as mobile offices, classrooms, and ambulances. I have a friend who you might call a “tinkerer” — he likes to restore things: motorcycles, dirtbikes, go-carts and motorhomes. 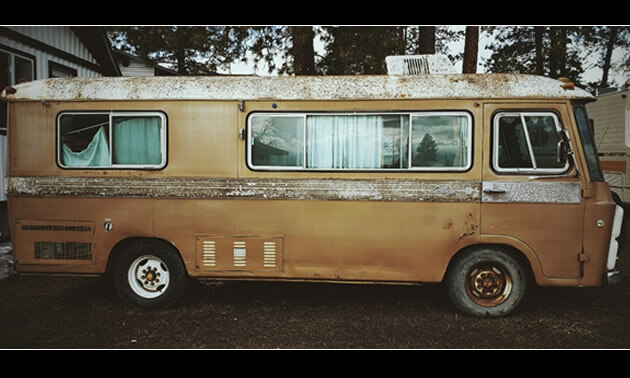 Lee and his wife, Lucy, have already lovingly restored and refurbished a vintage Winnebago motorhome, which they now rent out on a RV sharing rental platform. “It was a motorhome made by the forklift company, Clark Forklifts,” he said. "It's a 1974." A motorhome made by a forklift company, now you’ve got my attention. Wikipedia has a generous amount of information about the Cortez Motorhomes, so I’ll share some of it with you. “The Cortez Motorhome was a Class-A motor coach made in the United States between 1963 and 1979, with 3,211 units built. The Clark Forklift Company began making these small motorhomes in 1963 in Battle Creek, Michigan and are commonly referred to as Clark Cortez motorhomes. 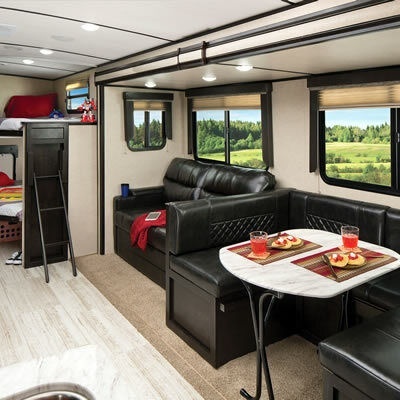 Class-A motor coaches are built as an integrated unit, including the chassis and engine, whereas Class-B and C motorhomes are built on top of an existing truck chassis. In 1970, Clark Forklift sold the Cortez Motorhome division to Alco-Standard's Kent Industries located in Kent, OH. The motorhomes produced from 1971 are commonly referred to as Kent Cortez motorhomes. In 1975, the company was acquired by 26 owners of Cortez coaches and production continued through 1978 when the company folded. A final batch of units were completed by a bank in 1979. Clark management had envisioned a variety of uses for the Cortez. They were made as mobile offices, classrooms, and ambulances. NASA used a Cortez to shuttle astronauts to the launch pad, which now resides in a museum at Cape Canaveral. So it would appear that my friend has another project to tinker on. We can’t wait to see what he does with this old Clark Cortez unit. Keep us posted, Lee! 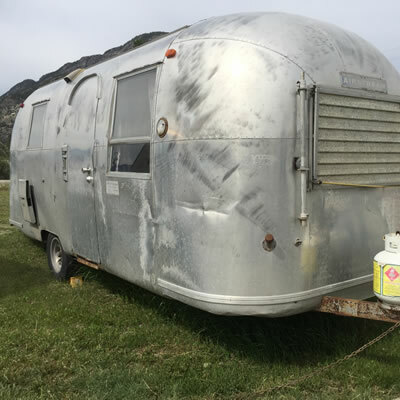 These distinctive, shiny silver classic trailers have a dedicated, almost cult-like following. 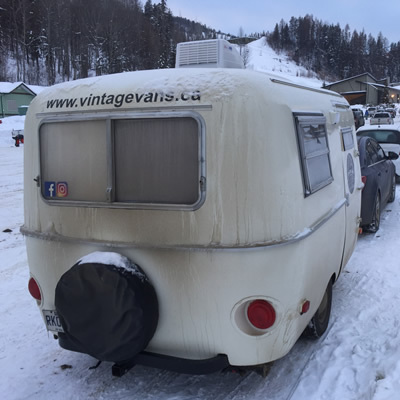 A local ski hill isn't the usual place to spot a vintage trailer, so spying this little Boler-style beauty came as a surprise.